At VisionAGI we love looking at how and where we can bring extra light into your home – room by room. 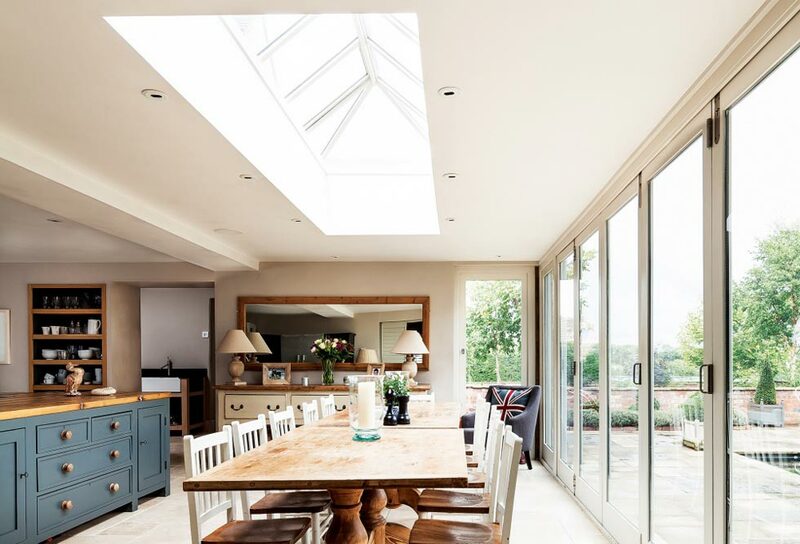 This week we’re looking at dining rooms and when it comes to rooflight placement, there really is nothing like dining under the sky – but without having to deal with the vagrancies of the weather! Dining under the stars – whether it’s a normal family dinner or you’re entertaining guests, is definitely on the menu when you install dining room rooflights. Your home suddenly has that up-market restaurant feel to it when you locate your dining table under the rooflight. Of course, it’s not just dinner or when you have guests over – there are the simple, every day benefits you and your family can enjoy that the addition light brings. Such as sitting having breakfast in the sunlight or just enjoying the benefits that the extra light brings even on cloudy days, which can set your mood for the rest of the day. 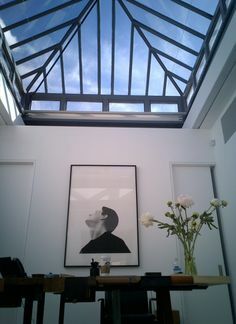 We’ve waxed lyrical in the past about the energy saving benefits of rooflights and also the fact that the quality of the light that rooflights channel into your home is better than that of vertical windows. All that warmth just has to add to the ambiance of any meal. 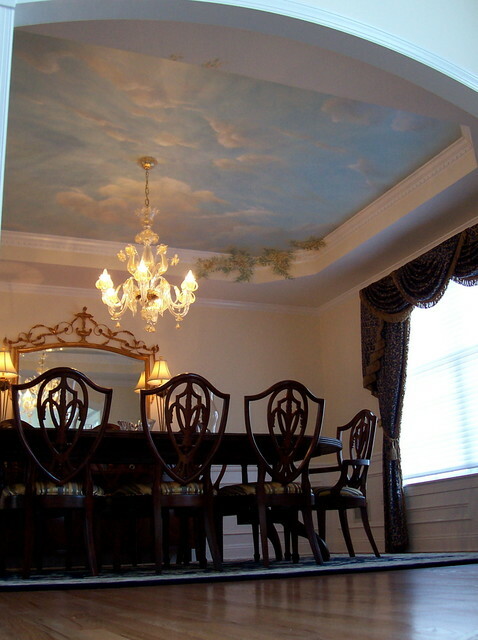 Okay, we have to give this dining room full marks for inventiveness – a tromp l’oeil rooflight. But why not opt for the real thing instead? 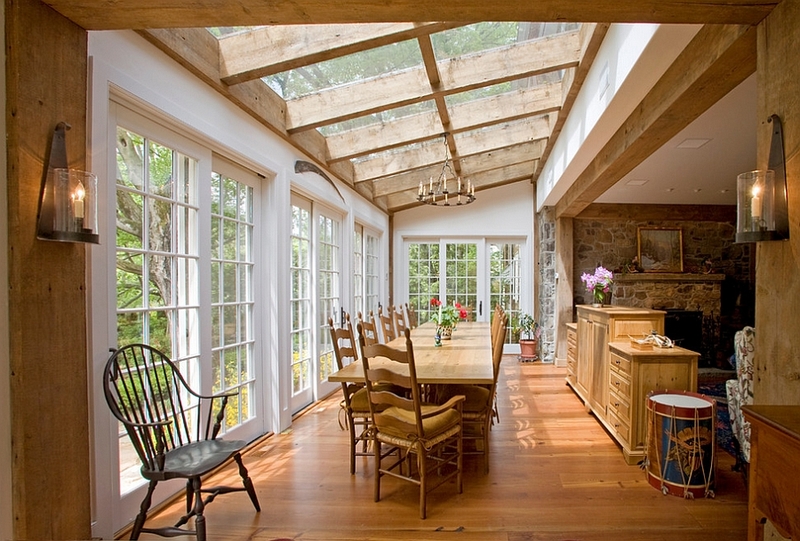 The style of rooflight you choose depends on the roof above your dining area. Here at VisionAGI we offer an extensive range of both standard and despoke rooflight options. View our entire range here then call us. Contact us and we’ll be happy to discuss how we can create a new and illuminating dining experience – under your own roof and under the stars all at the same time.